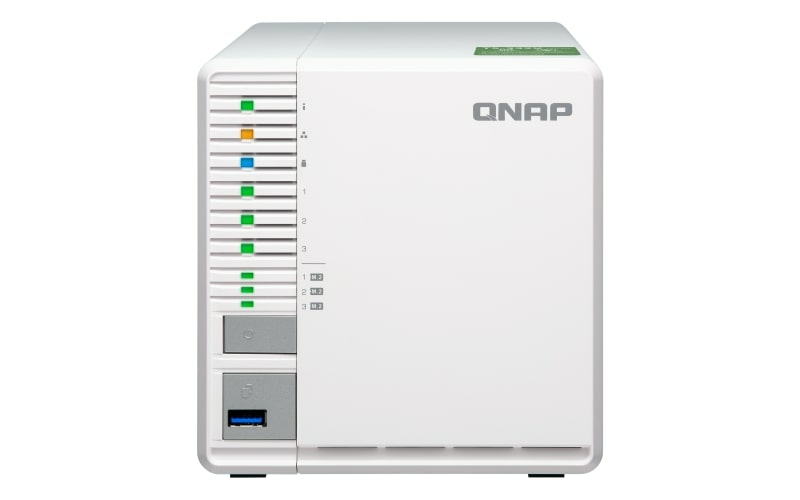 30% of QNAP users choose RAID 5 arrays for their NAS to provide higher data protection, better system performance and optimized storage utilization. The 3-bay TS-332X not only allows you to build a RAID 5 array on your NAS with the fewest disks, but also features a 10GbE SFP+ port and three M.2 SATA 6Gb/s SSD slots to enable higher performance for tackling performance-demanding operations. 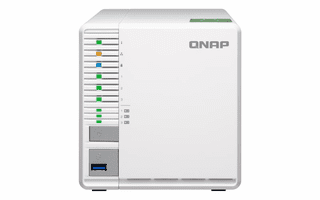 Featuring a minimalist design, the affordable 10GbE-ready TS-332X can easily fit your commercial space.